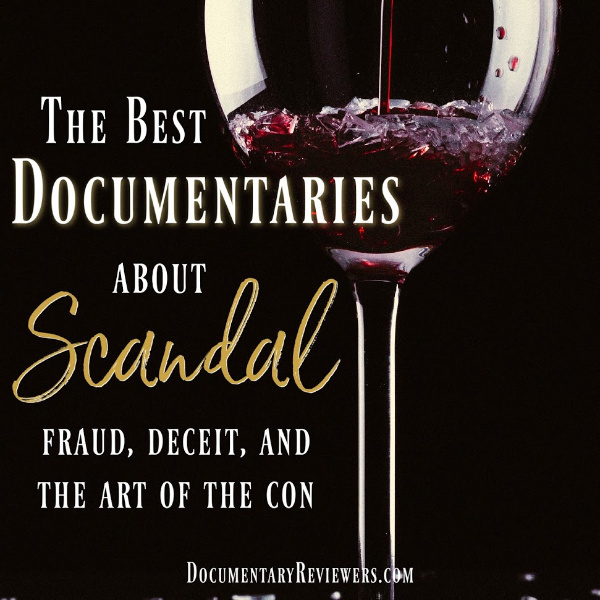 Nothing beats a great scandal documentary about fraud, cheats, or the art of the con. Whether it’s a greedy entrepreneur, a deceptive imposter, or an entire organized conspiracy, it’s always mind-blowing to see how far some people will go to get what they want. And that is exactly what you get in these scandal-filled documentaries. They feature liars, cheats, and deceptors on such a grand scale that the only option was to create an entire film based around their story…and they are all stories you’ll never forget! So sit back and enjoy – it’s definitely time to update your queue! These scandal documentaries are going to totally blow your mind. Fyre: The Greatest Party that Never Happened is one of Netflix’s newest documentaries and it will definitely keep you glued to the screen from start to finish. It recaps the events that led up to one of the greatest “party fails” to ever exist – one that cost millions of dollars, ultimately coming out of the pockets of unsuspecting workers, fans, and unlucky subcontractors. This scandalous Netflix documentary is also different from the rest because it tells of a more modern-day millennial con artist, which is something that the world is just starting to see. This is definitely one of the best financial fraud documentaries on Netflix (if not just one of the best documentaries period) and a great production. Definitely add it to your queue! Con men exist in every industry and where there’s money, there’s fraud. And nothing makes that clearer than Sour Grapes. This Netflix documentary dives into the high-end wine market where certain bottles can go for tens of thousands of dollars…even when they aren’t real. And for Rudy Kurniawan, that was just too enticing. While he was rubbing shoulders with millionaires and wine aficionados, he was defrauding them of millions with a once-in-a-lifetime wine impersonation scheme. If you’re looking for a Netflix documentary about financial fraud AND the art of the con, then Sour Grapes is the flick for you! The Imposter is the king of con artist documentaries, both because the scenario is so disturbing, and also because it actually worked. In it, Frederic Bourdin tells the story of how HE HIMSELF conned an entire family into believing that he was their own missing son, Nicholas Barclay. The story itself is unbelievable, but listening to how Bourdin pulled it off is terrifying, disturbing, and captivating. This shocking con artist documentary is an absolute must-watch for everyone. Definitely add it to your queue! Icarus may be a little slow in the beginning, but KEEP WATCHING because it turns into an amazing documentary about one of the largest international scandals to hit the sports world (so good that it won an Academy Award). The focus is on Grigory Rodchenkov, a top Russian scientist with a unique expertise in steroid use and steroid detection. Grigory joins the documentary in a supportive role, but ends up being the main focus as real-time news starts breaking around the world. Rodchenkov is an extremely interesting person, which makes this scandalous documentary even better than it already is. If you’re looking for a Netflix documentary about scandal and fraud on an international level, look no further than Icarus! This is definitely one to add to your queue! Betting on Zero is definitely one of the best financial fraud documentaries on Netflix…and proves just how hard financial fraud is to identify and prosecute. The documentary follows billionaire hedge fund manager Bill Ackman as he sets out to prove that mega-corporation Herbalife is a deceptive pyramid scheme. This “noble” pursuit isn’t without personal gain though because Ackman has taken a massive short position on Herbalife…literally banking on it going bankrupt. This is a really interesting fraud documentary that covers not only scandal and potential fraud, but also two very fascinating but different industries – investment banking and multi-level marketing. The Inventor: Out for Blood in Silicon Valley tells the scandalous tale of Theranos, one of Silicon Valley’s greatest hopes that crashed and burned in a pool of fraud and deception. Led by the very misguided, yet passionate Elizabeth Holmes, Theranos was poised to completely transform the healthcare industry and give everyday people more control over their health. The problem was that all they were really selling was a dream and a hope – the actual product was a farce that remained hidden inside the Silicon Valley walls. This is a great HBO documentary about a con artist that managed to deceive some of the countries most powerful men and women, all in the name of better healthcare. 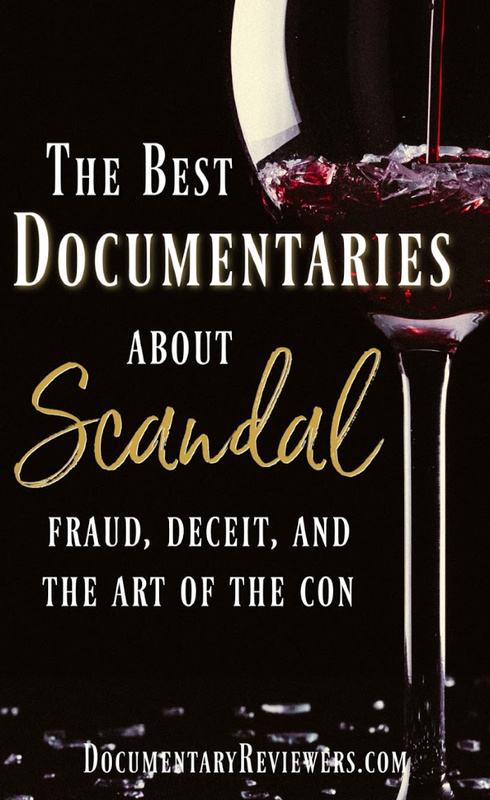 I hope you get a chance to watch every single one of these documentaries about scandals, frauds, and con artists! They are definitely some of the best and certainly worth adding to your queue.